& Forest School in Apperley Bridge. 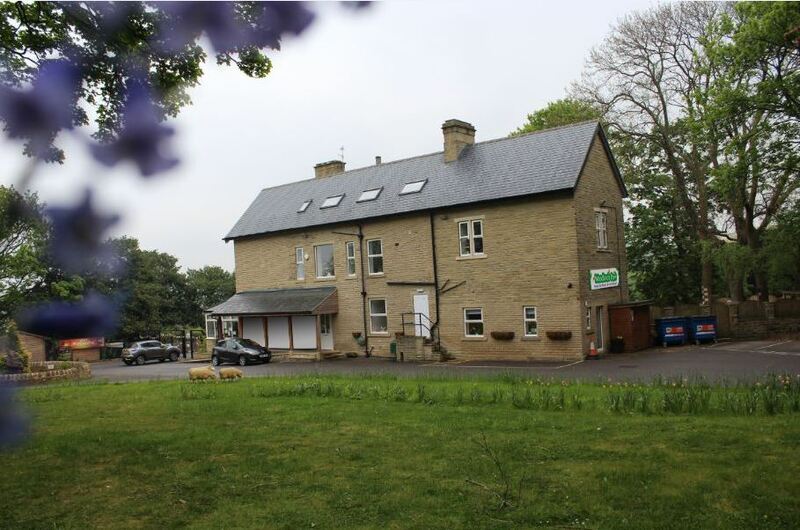 Woodlands Park is a fabulous nursery and forest school in Bradford, providing exceptional care and education for children aged 0-5. Our nursery is set within 2 acres of beautiful grounds, in a Victorian mansion refurbished to create the perfect learning environment for children. We are an official Forest School, providing inspirational learning activities in a woodland environment. Den building, gardening, bug hunts and nature walks are a part of everyday life at our nursery. This natural environment is perfect for little learners, creating precious memories as we prepare them for their next adventure at primary school. Our qualified team work hard to create a loving environment where each child’s developmental needs are understood and met. We dedicate each day to making sure every child in our care feels safe, loved and encouraged to develop to their full potential. Woodlands Park really does need to be seen to be believed, and we’d love to show you around. You are very welcome to pop in to see us anytime without making an appointment. If you would prefer to book a visit, please do so by using our online booking form. Our friendly team will be here ready to welcome you and your little one with open arms. Our cosy baby rooms have been designed to feel just like home with soft furnishings, pretty chandeliers and lots of natural light. Furniture and toys are placed at your baby’s eye-level, so they can make their own decisions about what they would like to explore. Even our windows are set at your little one’s height so they can see the wildlife all around them as they play. Our babies have a designated play area in our garden, so they can have lots of fun in the fresh air every day. This lovely shaded area features a sensory garden, water features and a variety of exciting toys for your little one to enjoy. Find out more by downloading your parent pack here. We have two toddler rooms; one is a light and airy conservatory with a fabulous outer space themed ceiling, the other is an exciting play room with its very own indoor beach! At this stage learning will become a little more structured but will still be very much focussed around play. Your child’s key person will introduce your little one to letters and numbers with games, messy play, roleplay and lots more activities designed to make learning fun. Our lovely outdoor area has race tracks with a roundabout for bikes and planting patches where your child can grow their own fruit and vegetables which we then use in our kitchen. When your child joins our Pre-school, our main aim is to ensure that they are socially and academically ready for school. We don’t just focus on reading and writing; we concentrate on developing happy, confident children with a real love of learning. We teach our pre-school children independence by encouraging them to contribute to the running of the nursery. The children lay tables for mealtimes, maintain the gardens and are help by getting involved in baking activities. As an Ofsted registered nursery our curriculum follows the Early Years Foundation Stage (EYFS) framework. We use exciting learning activities to teach our little ones English, numeracy, art and even Spanish! 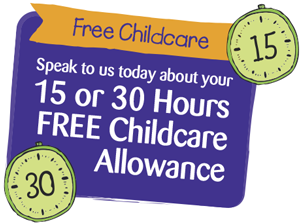 Pop in to visit our nursery in Apperley Bridge anytime!